﻿ Inspired by the Sun! Inspired by the sun! This is what SC Origin strongly believe in and we begin our business based on this vision. The natural sunlight, advance solar module, durable rechargeable battery and ultra bright LED light can create innovative solar powered products! Solar module which is high performance, durable and affordable. 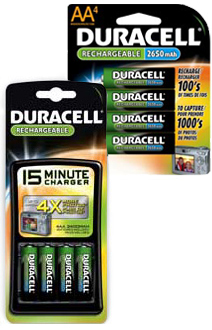 Durable rechargeable battery that last longer (10-18 operating hours). Super bright industrial grade LED light. We consistently deliver the finest solar power products at the most innovative and competitive price, sharing with our customers the many conveniences and environmental benefits of using the natural energy of the sun. 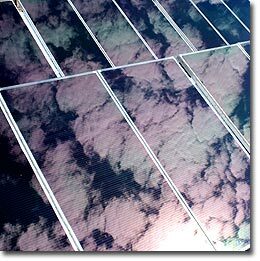 SC Origin offers one of the best solar modules in the market sourced from Germany, USA, and Japan. Our solar modules are the most resilient, high performance and affordable to cover a wide spectrum of solar power applications, solar power spot light, security sensor spot light, and signboard light just name a few. To meet the commercial and government agencies demands, we also deliver the highest grade of crystalline photovoltaic cells which have the highest yeild of energy. Engineered to withstand severe temperatures, high winds and marine conditions, each module ensures maximum longevity. The rechargeable batteries are durable, capable of operating 10-18 hours depend on the solar product design and can be recharged more than 1,000 time which is equivalent to 3-4 years of daily usage. SC Origin solar power products are using high quality Ni-Cd and Ni-MH rechargeable batteries, which are widely used in digital devices like camera, MP3 player and handphone. As a result, our solar powered products' batteries are reliable, durable and safe to operate. We only deliver industrial grade LED lights that are in super and ultra bright category, these are brigther than normal LED light because our LED lights operate at 9,000-13,000 mcd whereas other retails offer only 3,000-4,000 mcd. Today LED light technologies are used in diverse industries ranging from automotive to consumer products, it has many selections, from white light LED to blue, amber to red. Furthermore, LED light also consumes less energy than normal bulbs, lasting more than 100,000 hours of usage, hence giving great advantanges to our solar power lighting products. By combining durable rechargeable battery and industrial grade LED light, our solar power lighting products can be very bright and operate more than 12 hours. -Q: Where should I place the solar panel? -A: You can place anyway you desire where by sun light is accessible by the solar panel. -Q: Is the solar panel waterproof? -A: Yes, it is designed to withstand heat, rain, snow and all motherearth harshness. Our scientists had technically tested the products in Malaysia before introducing to the market. -Q: Are your solar ligthing products bright enough at night? -A: Yes, very bright at night because our solar lighting products are using industrial grade super and ultra bright LED light that operate around 9,000-13,000 mcd. Some of the products we carry are used for commercial spotlight and signboard light. -Q: Can the solar lighting last the whole night? -A: Yes, we only deilver solar lighting products that operate more than 12 hours with a single charge of direct sunlight. For industrial solar powered lights, the operating hour will be at 18 hours long. -Q: My solar product now isn't as bright as when I first received it? 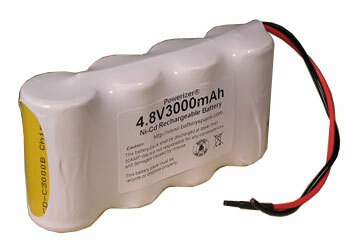 -A: You may need to replace the batteries in your solar product. You can purchase them from SC Origin or use compatible battery from your local store. Before you replace your batteries, place your light in direct sunlight to test if it receiving the required light for the solar panel to recharge the batteries. -Q: What's the disadvantage of using solar powered lights? -A: The biggest disadvantage of the solar powered lights is that they do required an adequate amount to sunlight to create the energy. If has several days of cloudy weather, the lights may not operate effectively. If this is the concern, please select solar powered light with overcast operation but it come with a premium price. We deliver highest quality standard solar products and services within Malaysia market. Please call us at +603-5882-9110 to find out our authorize agent in your area. ﻿Copyright of SC Origin. All rights reserved. SC Origin is the trademark of SC Origin (M) Sdn Bhd since 2007. Special thanks to Major Tan T. K. for making this corporate website possible.